Corvée is a form of unpaid, unfree labor, which is intermittent in nature and for limited periods of time: typically only a certain number of days' work each year. Statute labour is a corvée imposed by a state for the purposes of public works. As such it represents a form of levy (taxation). Unlike other forms of levy, such as a tithe, a corvée does not require the population to have land, crops or cash. It was thus favored in historical economies in which barter was more common than cash transactions and/or circulating money is in short supply. The obligation for tenant farmers to perform corvée work for landlords on private landed estates has been widespread throughout history. The term is most typically used in reference to medieval and early modern Europe, where work was often expected by a feudal landowner (of their vassals), or by a monarch of their subjects. However, the application of the term is not limited to that time or place; corvée has existed in modern and ancient Egypt, ancient Israel under Solomon, ancient Rome, China and Japan, everywhere in continental Europe, the Incan civilization, Haiti under Henri Christophe and under American occupation of Haiti (1915–1934), and Portugal's African colonies until the mid-1960s. Forms of statute labour existed until the early twentieth century in the United States and Canada. The word "corvée" itself has its origins in Rome, and reached the English language via France. In the Late Roman Empire the citizens performed opera publica in lieu of paying taxes; often it consisted of road and bridge work. Roman landlords could also demand a number of days' labour from their tenants, and also from the freedmen; in the latter case the work was called opera officiales. In Medieval Europe, the tasks that serfs or villeins were required to perform on a yearly basis for their lords were called opera riga. Plowing and harvesting were principal activities to which this work was applied. In times of need, the lord could demand additional work called opera corrogata (Latin corrogare, "to requisition"). This term evolved into coroatae, then corveiae, and finally corvée, and the meaning broadened to encompass both the regular and exceptional tasks. This Medieval agricultural corvée was not entirely unpaid: by custom the workers could expect small payments, often in the form of food and drink consumed on the spot. Corvée sometimes included military conscription, and the term is also occasionally used in a slightly divergent sense to mean forced requisition of military supplies; this most often took the form of cartage, a lord's right to demand wagons for military transport. Because corvée labour for agriculture tended to be demanded by the lord at exactly the same times that the peasants needed to attend to their own plots – e.g. planting and harvest – the corvée was an object of serious resentment. By the 16th century the use in the agricultural setting was on the wane; it became increasingly replaced by money payments for labour. It nevertheless persisted in many areas of Europe until the French Revolution and beyond. The word survives in modern usage, meaning any kind of "inevitable or disagreeable chore". From the Egyptian Old Kingdom (ca 2613 BC) onward, (the 4th Dynasty), corvée labour helped in 'government' projects; during the times of the Nile River floods, labour was used for construction projects such as pyramids, temples, quarries, canals, roads, and other works. 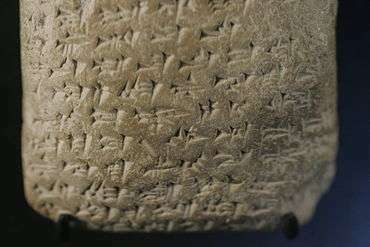 The 1350 BC Amarna letters correspondence, (mostly addressed to the Ancient Egyptian pharaoh), has one short letter, with the topic of corvée labour. Of the 382–Amarna letters, it is an example of an undamaged letter, from Biridiya of Megiddo, entitled: "Furnishing corvée workers". See: city Nuribta. In later Egyptian times, during the Ptolemaic dynasty, Ptolemy V, in his Rosetta Stone Decree of 196 BC, listed 22 accomplishments for being honored and the ten rewards granted to him for his accomplishments. The last reward listed is his making of the Rosetta Stone, (the Decree of Memphis (Ptolemy V)), in three scripts, to be displayed to the public in the temples-(two near complete copies). He (pharaoh) decreed:—Behold, not is permitted to be pressed men of the sailors. The statement implies it was a common practice. Until the late 19th century, many of the Egyptian Public Works including the Suez Canal were built using corvée labour. Mehmed Ali Pasha brought about the next step in the evolution of the corvée and its gradual disappearance. His conscription of the male peasants in 19th century Egypt was, at first, viewed by the peasantry as a form of corvée. Conscription was seen more or less as an act community service. How Mehmed Ali went about westernizing and strengthening this new army, however, indicated a great difference between that and the existing conscription at the time. Previously, men of various levels of skill had been enlisted into a patchwork army by force. Mehmed Ali Pasha’s new army was stronger, not only in might, but in skill as well, as education and training were provided and imposed upon the new soldiers. They eventually became united where the men of the corvées in the past had not. Over time, the male peasantry began to hold nationalistic feelings rather than resentment for the military life, in no way similar to the disunited soldiers previously enlisted for the earlier form of the army. In France the corvée existed until August 4, 1789, shortly after the beginning of the French Revolution, when it was abolished along with a number of other feudal privileges of the French landlords. In these later times it was directed mainly towards improving the roads. It was, again, greatly resented, and is considered an important cause of the Revolution. Counterrevolution revived the corvée in France, in 1824, 1836, and 1871, under the name prestation; every able bodied man had to give three days' labour or its money equivalent in order to be allowed to vote. The corvée also continued to exist under the Seigneurial system in what had been New France, in British North America. In 1866, during the French occupation of Mexico the French army under Marshal Bazaine set up the corvée to provide labor for public works in place of a system of fines. The independent Kingdom of Haiti based at Cap-Haïtien under Henri Christophe imposed a corvée system of labor upon the common citizenry which was used for massive fortifications to protect against a French invasion. Plantation owners could pay the government and have laborers work for them instead. This enabled the Kingdom of Haiti to maintain a stronger economic structure than the Republic of Haiti based in Port-au-Prince in the South under Alexandre Pétion which had a system of agrarian reform distributing land to the laborers. After deploying to Haiti in 1915 as an expression of the Roosevelt Corollary to the Monroe Doctrine, the United States military enforced a corvée system of labor in the interest of making improvements to infrastructure. By official estimates, more than 3,000 Haitians died during this period. Imperial China had a system of conscripting labour from the public, equated to the western corvée by many historians. Qin Shi Huang, the first emperor, and following dynasties imposed it for public works like the Great Wall, the Grand Canal, and the system of national roads and highways. However, as the imposition was exorbitant and punishment for failure draconian, Qin Shi Huang was resented by the people and criticized by many historians. Corvée-style labour called yō (庸) was found in pre-modern Japan. During the 1930s, it was common practice to import Corvée labourers from both China and Korea to work in coal mines. This practice continued until the end of World War II. There was the introduction of equitable taxation, so vital from the financial point of view; but also of such great political, moral and economic importance. It was the tangible proof of French authority having come to stay; it was the stimulus required to make an inherently lazy people work. Once they had learned to earn they would begin to spend, whereby commerce and industry would develop. The corvée in its old form could not be continued, yet workmen were required both by the colonists, and by the Government for its vast schemes of public works. The General therefore passed a temporary law, in which taxation and labour were combined, to be modified according to country, the people, and their mentality. Thus, for instance, every male among the Hovas, from the age of sixteen to sixty, had either to pay twenty-five francs a year, or give fifty days of labour of nine hours a day, for which he was to be paid twenty centimes, a sum sufficient to feed him. Exempted from taxation and labour were soldiers, militia, Government clerks, and any Hova who knew French, also all who had entered into a contract of labour with a colonist. Unfortunately, this latter clause lent itself to tremendous abuses. By paying a small sum to some European, who nominally engaged them, thousands bought their freedom from work and taxation by these fictitious contracts, to be free to continue their lazy, unprofitable existence. To this abuse an end had to be made. The urgency of a sound fiscal system was of tremendous importance to carry out all the schemes for the welfare and development of the island, and this demanded a local budget. The goal to be kept in view was to make the colony, as soon as possible, self-supporting. This end the Governor-General succeeded in achieving within a few years. The system of forced labour otherwise known as polo y servicios evolved within the framework of the encomienda system, introduced into the South American colonies by the Spanish government. Polo y servicios in the Philippines refers to 40 days forced manual labour for men ranging 16 to 60 years of age; these workers built community structures such as churches. Exemption from polo was possible via paying the falla (corruption of the Spanish falta, meaning "absence"), which was a daily fine of one and a half real. In 1884, the required tenure of labour was reduced to 15 days. The system was patterned after the Mexican repartimento selection for forced labour. In Portugal's African colonies (e.g. Mozambique), the Native Labour Regulations of 1899 stated that all able bodied men must work for six months of every year, and that "They have full liberty to choose the means through which to comply with this regulation, but if they do not comply in some way, the public authorities will force them to comply." Africans engaged in subsistence agriculture on their own small plots were considered unemployed. The labour was sometimes paid, but in cases of rule violations it was sometimes not—as punishment. The state benefited from the use of the labour for farming and infrastructure, by high income taxes on those who found work with private employers, and by selling corvée labour to South Africa. This system of corvée labour, called chibalo, was not abolished in Mozambique until 1962, and continued in some forms until the Carnation Revolution in 1974. In Romania, the corvée was called "clacă". Karl Marx describes the corvée system of the Danubian Principalities as a pre-capitalist form of compulsory over-work. The labour of the peasant needed for his own maintenance is distinctly marked off from the work he supplies to the land-owner (the boyar, or boier, in Romanian) as surplus labour. The 14 days of labour due to the land-owner - as prescribed by the code of the corvée in the Règlement organique - actually amounted to 42 days, because the working day was considered the time required for the production of an average daily product, "and that average daily product is determined in so crafty a way that no Cyclops would be done with it in 24 hours." The code of the corvée was supposed to abolish serfdom, but it couldn't achieve anything in regard to this goal. A land reform took place in 1864, after the Danubian Principalities became unified and formed The United Principalities of Moldavia and Wallachia, which abolished the corvée and turned the peasants into free proprietors. The former owners were promised compensation, which was to be paid from a fund the peasants had to contribute to for 15 years. Besides the annual fee, the peasants also had to pay for the newly owned land, although at a price below market value. These debts made many peasants return to a life of semi-serfdom. In the Russian Tsardom and the Russian Empire there were a number of permanent corvees called тяглые повинности: carriage corvée (подводная повинность), coachman corvée (ямская повинность), lodging corvée (постоялая повинность), etc. 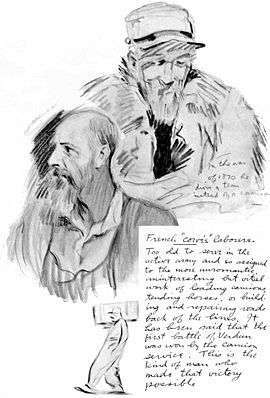 In the context of the history of Russia, the term corvée is also sometimes used to translate the terms barshchina (барщина) or boyarshchina (боярщина), which refer to the obligatory work that the Russian serfs performed for the pomeshchik (Russian landed nobility) on the pomeshchik's land. 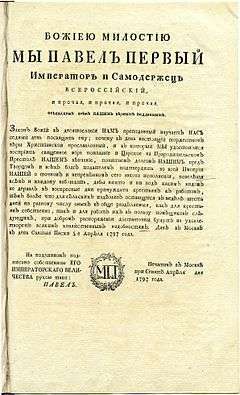 While no official government regulation to the extent of barshchina existed, a 1797 ukase by Paul I of Russia described a barshchina of three days a week as normal and sufficient for the landowner's needs. USSR was using corvee for its rural population (dekulakization) and sometimes urban too (subbotnik). In Poland in the 1940s Junacy (Służba Pracy) was a system of unpaid labour in bad conditions (little food, etc.) where underage people were often tricked or pressed into slavery for months or years. Corvée was used in several states in North America especially for road maintenance and this practice persisted to some degree in the United States. Its popularity with local governments gradually waned after the American Revolution with the increasing development of the monetary economy. After the American Civil War, some Southern states, with money in short supply, commuted taxing their inhabitants with obligations in the form of labour for public works. The system proved unsuccessful because of the poor quality of work; in 1894, the Virginia state supreme court ruled that corvée violated the state constitution, and in the 1910s Alabama became the last state to abolish it. The government of Myanmar is well known for its use of the corvée and has defended the practice in its official newspapers. In Bhutan, the driglam namzha calls for citizens to do work, such as dzong construction, in lieu of part of their tax obligation to the state. In Rwanda, the centuries-old tradition of umuganda, or community labor, still continues, usually in the form of one Saturday a month when citizens are required to perform this work. The Socialist Republic of Vietnam maintains corvée for females (age 18-35) and males (age 18-45) of ten days yearly for public works at the discretion of the authorities. This is termed Labor duty (Vietnamese: nghĩa vụ lao động). The British overseas territory of Pitcairn Island, which has no income or sales tax, has a system of "public work" whereby all able-bodied people are required to perform, when called upon, jobs such as road maintenance and repairs to public buildings. Since the mid-late 19th century, most countries have restricted corvée labour to conscription (military or civilian service), prison labour, or workfare. Look up corvée in Wiktionary, the free dictionary. Wikimedia Commons has media related to Corvee (forced labor). See the chapter on "Corvées: valeur symbolique et poids économique" (5 articles on France, Germany, Italy, Spain and England), in: Bourin (Monique) ed., Pour une anthropologie du prélèvement seigneurial dans les campagnes médiévales (XIe–XIVe siècles): réalités et représentations paysannes, Publications de la Sorbonne, 2004, p. 271–381. Budge. The Rosetta Stone, E. A. Wallis Budge, (Dover Publications), c 1929, Dover edition (unabridged), c 1989. ↑ In the Austro-Hungarian Empire, serfdom, along with heavy forms of corvée were abolished only in 1848. Robert A. Kann, A history of the Habsburg Empire, 1526-1918, University of California Press, 1974, pp. 303-304. ↑ Mould, Michael (2011). The Routledge Dictionary of Cultural References in Modern French. New York: Taylor & Francis. p. 147. ISBN 978-1-136-82573-6. ↑ Budge. The Rosetta Stone, p. 138-139. ↑ Karabell, Zachary (2003). Parting the Desert, the creation of the Suez Canal. Alfred Knopf. pp. 113, 169–180. ISBN 0375408835. ↑ Jack A. Dabbs. The French Army in Mexico 1861-1867, p. 235. ↑ The Drama of Madagascar, Sonia E. Howe, pp. 331–2. Methuen & Co. ltd. London, 1938. ↑ Native Labour Regulations, section 1, 1899, Lisbon; in Gordon White, Robin Murray, and Christina White, Eds., Revolutionary Socialist Development in the Third World. 1983; Sussex, U.K.; Wheatsheaf Books. p.77. ↑ Marx, Karl (1967). Capital. A Critique of Political Economy: Volume One. International Publishers. p. 228. ISBN 0717806219. ↑ "Wyborcza.pl". wyborcza.pl. Retrieved 2016-02-29. ↑ "Nierozłączne siostry dwie, młodzież i SP". wyborcza.pl. Retrieved 2016-02-29. ↑ "Decree defining labor duty"